Chinese dried mushrooms (also called black mushrooms or dried shiitake mushrooms) have an intense meaty flavor that enhances the flavor of soups, stir-fries, and braised dishes. However, the dried mushrooms must first be rehydrated. This is true even if you’re planning to use them in a soup or broth. 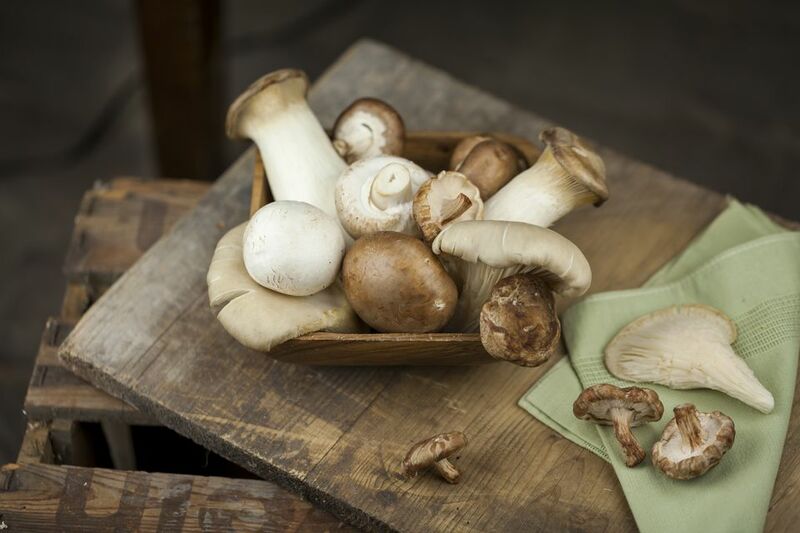 Besides giving them a plumper texture, soaking the dried mushrooms helps remove any particles of dirt. Gently rinse the dried shiitake mushroom with cold water. Place the dried mushrooms in a bowl with warm water to cover. (Note: You will probably need to place a small plate, lid from a pot, or another item on top of the bowl to keep the mushrooms from floating). Soak the Chinese dried mushrooms in warm water for about 20 to 30 minutes or until softened. The exact soaking time will depend on the thickness of the caps. The warm water temperature should be roughly the same temperature as bath water. If you’re in a hurry, soak the dried mushrooms in hot water for 15 to 30 minutes. This is not ideal, because hot water will affect the mushrooms' flavor. After you have softened them in hot water, you will find dried shiitake mushrooms aren’t as aromatic as they usually are. The liquid from soaking the dried mushrooms can be used to enhance the flavor of a soup or braising liquid or it can be added to stir-frying vegetables to prevent them from drying out. It also makes a great vegetarian/ vegan-friendly substitute for chicken stock in recipes. And don’t throw out the cut mushroom stems; they are a great way to add extra flavor to a soup. Just seal in a plastic bag and freeze until needed. Mu Shu Pork: The famous northern Chinese dish, with a selection of Chinese vegetables that can include Chinese mushrooms, cloud ears, and lily buds representing a forest scene. Shrimp With Chinese Greens: An easy stir-fry. If using Chinese mushrooms, feel free to replace the chicken broth in the recipe with the same amount of (strained) liquid from soaking the mushrooms. Shu Mai Dumplings: Steamed dumplings filled with Chinese mushrooms, fresh ginger, spring onions, and Chinese seasonings. Soy Sauce Chicken With Dried Shiitake Mushrooms: In many areas of the world Chinese black mushrooms are more commonly known as Shiitake mushrooms. In this recipe, marinated chicken thighs are browned and then simmered with onion in reserved marinade. Stir-fry Beef With Oyster Sauce: Thin slices of beef steak are marinated, and then finished off with Chinese mushrooms and snow peas in a special sauce. Stir-fry Mushrooms in Oyster Sauce: Strained liquid from soaking the Chinese mushrooms forms the base of the oyster-flavored sauce, which also includes dark soy sauce and Chinese rice wine. Stir-fry Fish Cubes: Chinese mushrooms add an earthy flavor to this recipe. Buddha’s Delight: A simplified version of the popular vegetarian dish, traditionally served on the first day of Chinese New Year. Braised Tofu: In this recipe, medium or soft tofu and vegetables are braised in a simple, flavorful mixture of soy sauce, stock, and sugar, with a splash of Asian sesame oil added at the end.